I looked behind me and the ascent seemed vertical. I looked ahead of me and the descent looked like a sheer drop. I was completely frozen with fear. 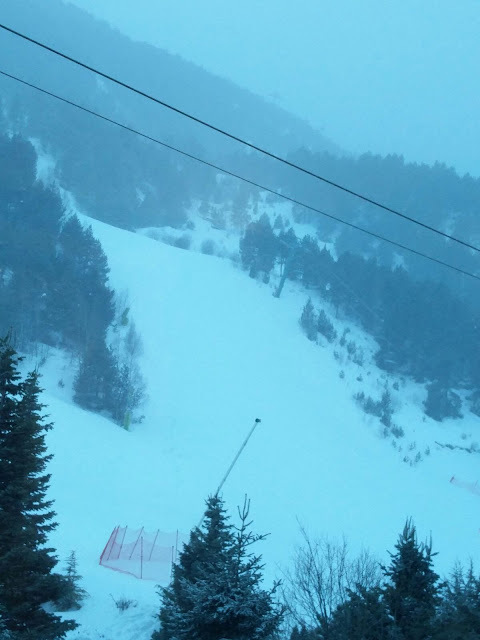 I had no phone, no idea how I was going to get off this mountain, the fog was descending fast and my 5 euro sunglasses were clouded with snow. I don't think I have ever felt so frightened, I didn't know what to do. I looked up, I looked down. I looked up and I looked down again, both options completely unattainable and finally Ava, my eldest daughter, snow ploughed at 5cm/minute crying - with snot dribbling out of her nose - towards me. At last she was with me, my baby - her mama. We hugged, helmets and skis colliding, so pleased to have found each other - now we could tackle it side by side. 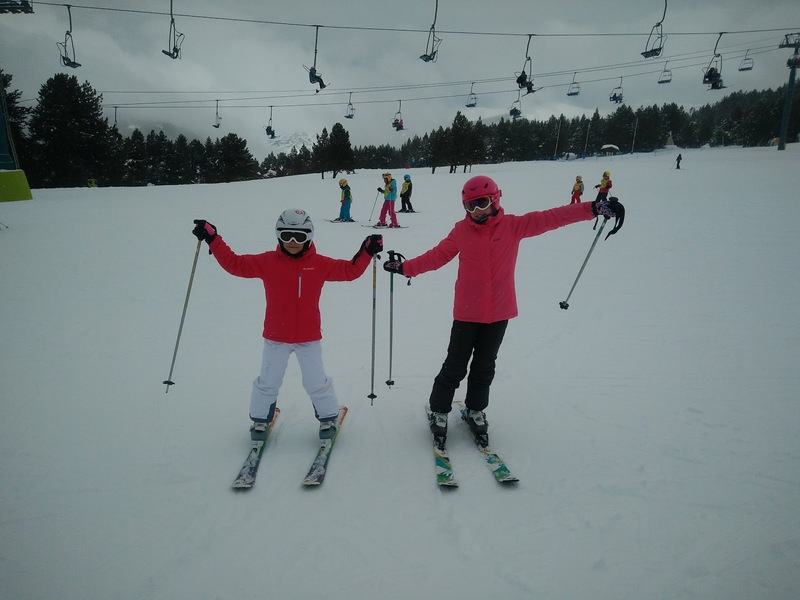 Last week was our first try at skiing. We took the ferry to Barcelona along with almost all of Mallorca for Semana Blanca (literally meaning 'White Week'). 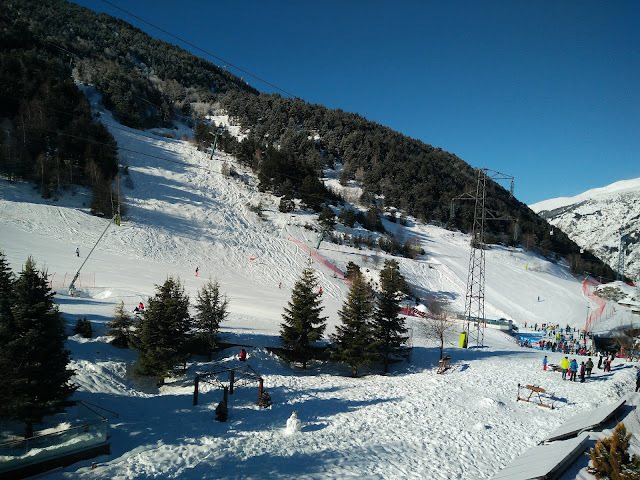 The ski resort in Andorra was beautiful, we drove to the snow whooping with delight at the two metre drifts and the people flying off piste. I couldn't wait to try it. So the next day we all headed for a Blue run, one up from a nursery slope and two down from the Black run - depending how you look at it. 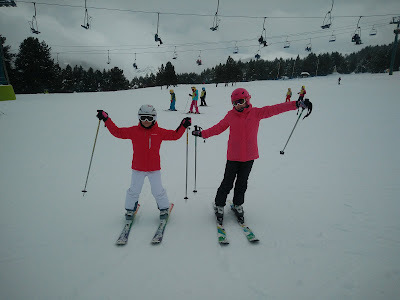 Ava hesitated and I was off - all my 2 hours of ski instruction disappearing in the blur of snow, speed and pine trees. I couldn't stop. I couldn't scream. I couldn't bail out as I had 2 metres of goddamn metal attached to my feet. The next bit of my life I have blanked, I actually have no idea how I came to a halt but I can assure you it wasn't pretty. And there I sat waiting for my daughter for 20 minutes, maybe more. On a mountain. With fog descending. With 5 euro sunglasses. With no phone. With absolutely no idea how this was going to end.